SINGAPORE – Individuals, businesses and cities in 188 countries and territories worldwide joined Earth Hour to speak up for nature and inspire urgent action for the environment. As Earth Hour rolled around the globe, thousands of landmarks switched off their lights in solidarity for the planet. 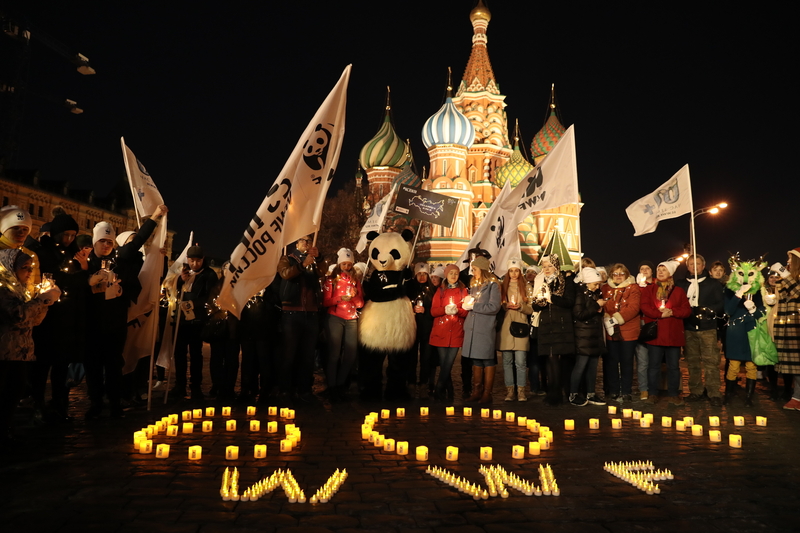 Through the global appeal of the world’s largest grassroots movement for the environment, #EarthHour, #Connect2Earth and related hashtags trended in 26 countries as people across the globe generated over 2 billion impressions to show their concern for nature. People pledged their support for the planet, challenging world leaders to push the issue up the global agenda. From Ecuador to Morocco to Indonesia, Earth Hour 2019 mobilized people across continents to speak up on issues such as sustainable lifestyles, plastic-free oceans, deforestation and water conservation. Peru pushed for the introduction of zero-plastic legislation. 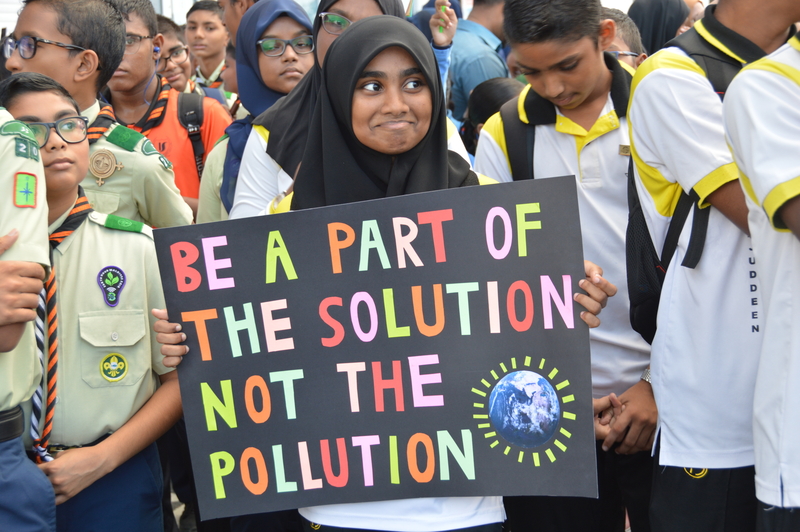 In Singapore, Earth Hour brought together communities of conscious citizens to encourage people to make sustainable choices and support businesses that make the right decisions for the environment. Recognizing the important role young people will play in creating a more sustainable world, Earth Hour worked with schools in Bhutan to promote greener lifestyles. "The science is clear: the loss of nature is a global crisis putting everyone’s future at risk. Nature is vitally important to our daily lives; it underpins our economic prosperity and development, and our very survival. We have a unique opportunity to set a new direction for our society and create a New Deal for Nature and People. If we get it right, we will create an unstoppable movement for nature that can and will halt nature loss, preserving the amazing diversity of life on Earth, and averting a catastrophe for our civilization." added Lambertini. The impacts of accelerating nature loss and climate change on the planet are profound, as are the consequences for humanity. In a video statement, UN Secretary-General António Guterres stated: “This Earth Hour comes with a great sense of urgency. We can see the worsening impacts of climate change, biodiversity loss, ocean pollution, soil degradation and water scarcity.” If this trend continues, our planet’s ecosystems will collapse, along with the clean air, water, food and stable climate that they provide. Kristalina Georgieva, Interim President of the World Bank, tweeted: “Nature gives us life, it protects us and makes the world a wonderful place. Let’s return the favor”. Greta Thunberg, the 16-year-old climate activist, tweeted: “Earth Hour is every hour of every day.” Cosmonauts on the International Space Station had a message to humanity from space: “Our planet is the most precious thing we have. It is home to each and every one of us, it is the source of life, beauty and health. We are totally dependent on planet Earth, but its well-being now depends on us.” And in his message for Earth Hour, the Prime Minister of Spain Pedro Sánchez reiterated the need for everyone - governments, businesses, individuals - to work together to build a world that cares for nature. Celebrities and influencers worldwide raised their voice for the planet including Bear Grylls, Mark Ruffalo, Amitabh Bachchan, Claudia Bahamon, Hebe Tien and Yoko Ono. Earth Hour partners include World Organization of the Scout Movement, Zinkia Entertainment Ltd, creators of popular cartoon character Pocoyo, the crowdsourcing platform Userfarm, the media app TikTok. Since 2007, Earth Hour has mobilized businesses, organizations, governments and hundreds of millions of individuals to act for a sustainable future, helping drive climate policy, awareness and action worldwide. Among its highlights, the movement helped create a 3.5 million hectare marine-protected area in Argentina and a 2,700-hectare Earth Hour forest in Uganda, ban all plastics in the Galapagos in 2014, plant 17 million trees in Kazakhstan, light up homes with solar power in India and the Philippines and push new legislation for the protection of seas and forests in Russia. Just last year, French Polynesia moved to protect 5 million square kilometres of its seas to preserve ocean ecosystems. Hot on the heels of Earth Hour comes the eagerly awaited Our Planet Netflix series, launching on 5 April. Viewers will witness stunning, never-before-seen footage of wildlife and their habitats - while also discovering why the natural world matters to us all and what steps must be taken to preserve it. Produced in partnership with WWF, the landmark series is narrated by renowned broadcaster and natural historian Sir David Attenborough. Earth Hour 2020 will take place on Saturday 28 March 2020 at 8:30 p.m. local time. Connect2earth.org was created in partnership with the Secretariat of the United Nations Convention of Biological Diversity and supported by Germany’s Federal Ministry of the Environment, Nature Conservation and Nuclear Safety with funding from the International Climate Initiative. build a sustainable future for all. Since 2008, the International Climate Initiative (IKI) of the Federal Ministry for the Environment, Nature Conservation and Nuclear Safety (BMUB) has been financing climate and biodiversity projects in developing and newly industrialising countries, as well as in countries in transition. In the early years of the programme, its financial resources came from the proceeds of auctioning allowances under the emissions trading scheme. To ensure financial continuity, further funds were made available through the Special Energy and Climate Fund. Both funding mechanisms are now part of the Federal Environment Ministry’s regular budget. The IKI is a key element of Germany’s climate financing and the funding commitments in the framework of the Convention on Biological Diversity (CBD). The Initiative places clear emphasis on climate change mitigation, adaptation to the impacts of climate change and the protection of biological diversity. These efforts provide various co-benefits, particularly the improvement of living conditions in partner countries. Earth Hour 2019 celebrations in Russia.